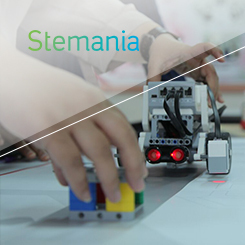 STEMania - National TalentS Co. Talents developed the content of this program in 2015, 2016 and 2017. in the second stage, Talents were in charge of its manpower, content upgrade, and the final event. Client: Saudi Aramco: Women development Program. Target audience: Intermediate level Students.